It took until page 179 of Tillie Walden’s new graphic novel, On a Sunbeam, for me to realize I was reading a story in which every character was female or nonbinary. Walden’s stunningly-illustrated tale, adapted from a webcomic of the same name, is a captivating piece of science fiction. The romances, betrayals, and narratives of personal growth at the heart of her story are set against the backdrop of space exploration and interplanetary conflict. However, imagining a world that is entirely gender-neutral or female is as much a part of the speculative thought experiment behind On a Sunbeam’s fictional universe as are its fish-shaped spaceships, extraterrestrial storms, and hoverboards. The fact that the absence of male-identified characters escaped me until I was a third of the way into Walden’s absorbing comic is a testament to how deftly she realizes this social landscape. Characters casually refer to each other’s “moms,” and those moms express unabated excitement when their daughters find their first girlfriends. 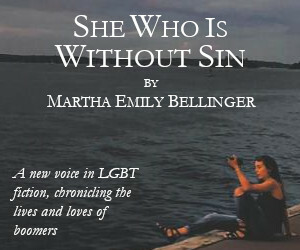 After decades of every coming out story resulting in crisis, more books and films now imagine happier coming out experiences; but this is the first time that I have encountered a queer romance at which no character bats an eye. In depicting parents responding to a relationship between women with the joy and lack of hesitation that remains reserved for heterosexual couples in our world, Walden draws on the defamiliarizing conventions of the sci-fi genre in a smart and surprising way. The reimagined gender matrix of this universe does not, however, make it a utopia. 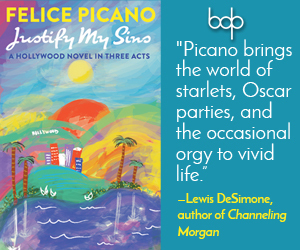 Although the story’s central characters—the protagonist, Mia, and Grace, her first love—are driven by their passions, the lives of everyone in On a Sunbeam are defined by a galaxy-wide struggle for resources. The novel follows two interwoven timelines: the romance that develops between Mia and Grace when they meet as boarding school students, and their reunion five years later when Mia and the crew of architectural restorers she works with come to Grace’s embattled home planet at the edge of the galaxy. Grace’s resource-rich planet is home to an exceptional diversity of plant and animal life, and has become something between a wild west and a police state due to sanctions levelled against its few inhabitants for their resistance to any development that might disturb its fragile ecological balance. In the surrounding solar system, desperate homesteaders struggle to survive in unforgiving climates, leading to violent interplanetary animosity. On a Sunbeam continually asks the reader to reconsider what is trivial and what is meaningful. Mia’s crew is assigned to restore the labyrinthine cathedral of a Borgesian religion whose mythic founder is rumored to still be hidden in one of the structure’s secret rooms. Ancient, fox-shaped creatures seemingly able to defy the laws of physics guide characters on surreal journeys. Yet, as the story unfolds through Mia’s perspective, its focus is on interpersonal relationships: her first high school dance, board game nights with her crew, memories of her mothers, and learning what has shaped the lives of the companions with whom she travels through space. Although the text of On a Sunbeam is limited entirely to dialogue, without captions or omniscient narration, Walden’s drawing style, recalling both H.R. Giger and Hayao Miyazaki, creates a productive tension between the characters’ absorption in one another and the relative vastness of the universe they inhabit. Walden draws the reader in not just with her story but with her transcendent renderings of crumbling architecture, starscapes, and alien forests. 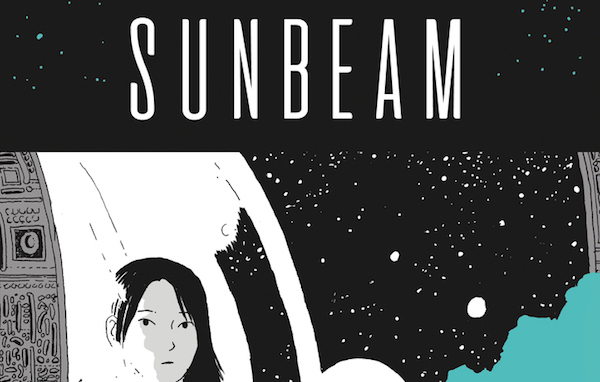 Though categorized as a young adult book, On a Sunbeam is a true work of art that deserves a place in the libraries of lovers of comics, sci-fi, romance, or literary fiction of any age.